And the punchline…dude, we totally forgot. Because for real POWs and MIAs the phrase is never forget. 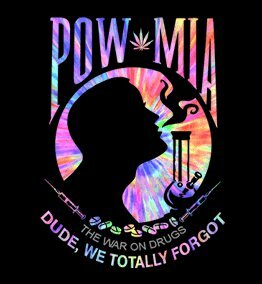 But, if there are POWs and MIAs in the War on Drugs, the army you’re rolling with is a bunch of meth heads and stoners, and they totally forget stuff. While both destructive, the wars have very different vibes.